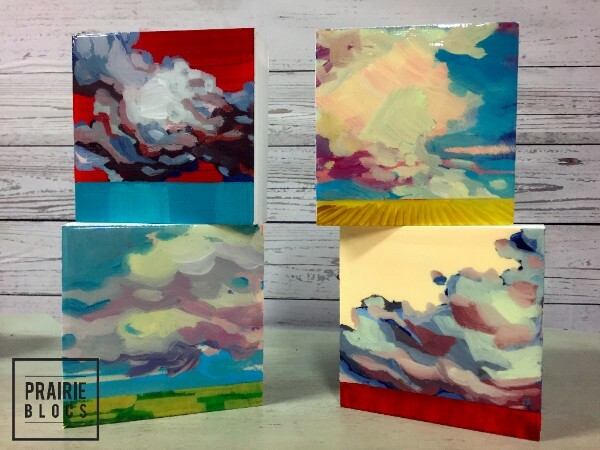 These 5” x 5” and 4″ x 5″ mini landscape paintings are painted on beautiful birch cradled panels with acrylic paint and varnished with a high gloss finish. Each piece is an original work of art and collectable in 1’s, 3’s or more! Another piece of amazing news – The Southern Alberta Art Gallery will now be showcasing my Prairie Blocs in their Gift Shop. 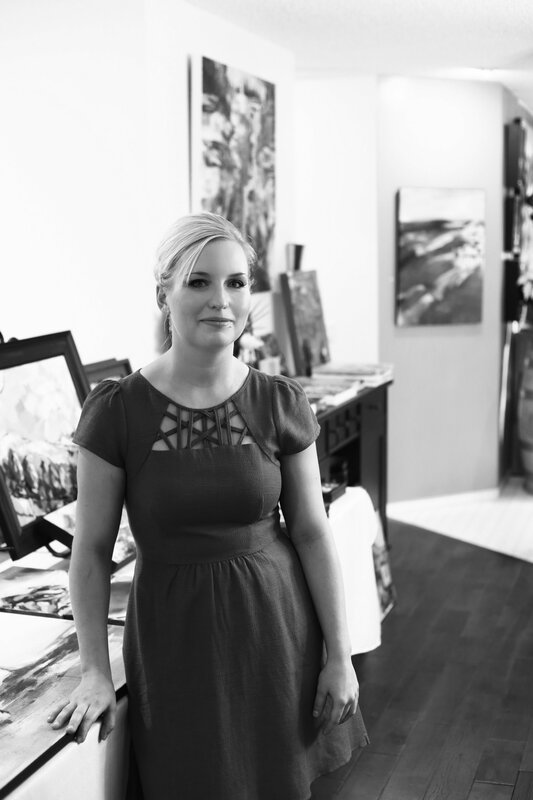 This is a wonderful opportunity for my work to be in a prestigious venue in Alberta. I am looking forward to supplying them with these beautiful mini pieces of art. 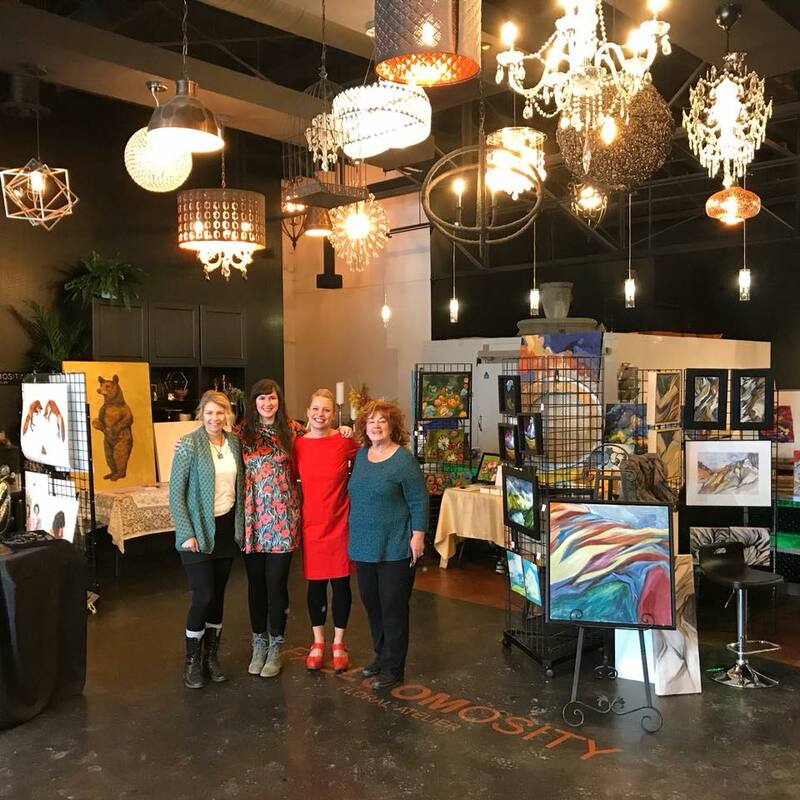 Another thank you goes out to the artists, supporters, friends and students who made it out to my Holiday show and sale. For me, it is always such a wonderful way to wrap up another year.